Early settlers transported grains, livestock, timber, and firewood across the river from Hallets Cove to the growing city of New Amsterdam. The first passenger boats began operating in the 1700s from Hallets Cove to Hornes Hook—present-day 86th street—in Manhattan. 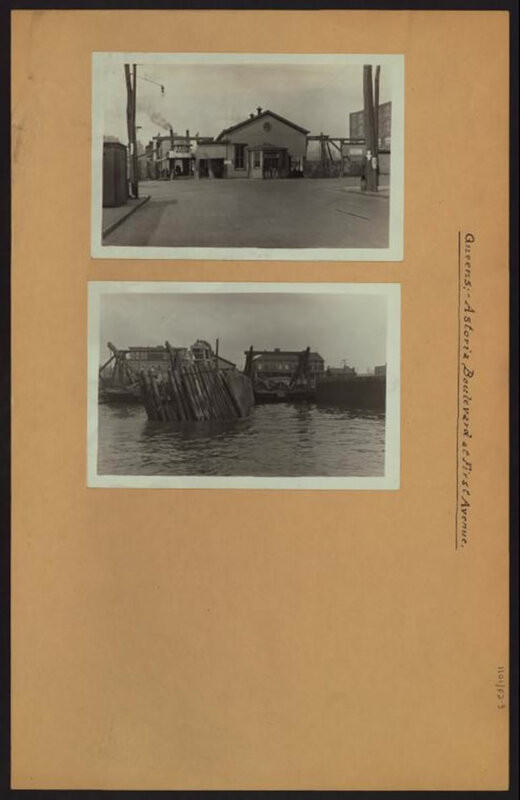 During the 1760s and 1770s, Benjamin Waldron and his son Adolf operated an occasional, irregular ferry service between Astoria and their tract of land near 86th Street in Manhattan. After the Revolutionary War, the constant arrival and departure of military ships gave local merchant Peter Fitzsimmons an idea. In 1782, he rented the Waldron’s landing in Manhattan and began the first regular ferry service between Astoria and Manhattan. A fleet of row boats and sail boats would depart, at predetermined intervals, from a dock at Hallets Cove not far from what is now Socrates Sculpture Park. The fare was one shilling per person. When Stephen Halsey arrived in 1835, an overhaul of the ferry system was part of the sweeping changes he brought to Astoria. 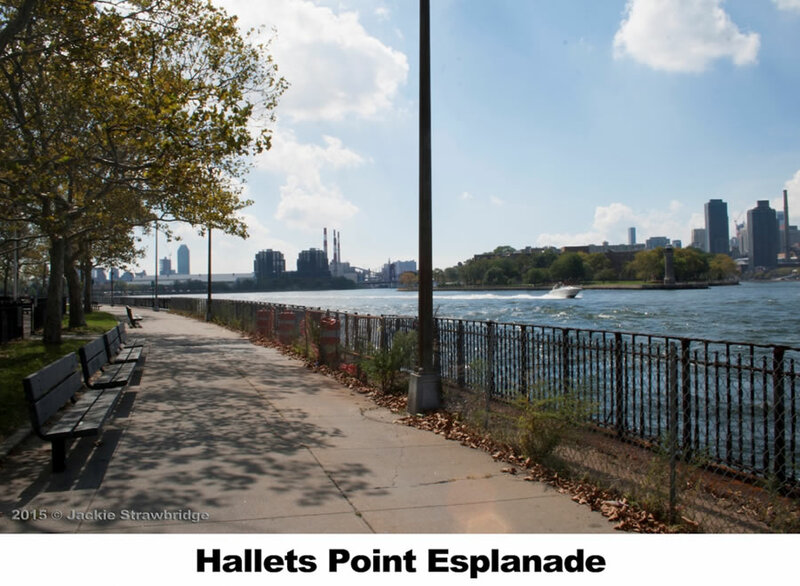 Halsey bought the ferry service, constructed new wharves at the foot of Astoria Boulevard on Hallets Point, and upgraded the boats being used to ship people to and from Manhattan. Boats powered by sails and oars were eventually supplanted by “horse ferries.” Before the advent of steam engines, boats were powered by horses walking in circles on the deck, hitched to mechanisms that turned propellers and paddle wheels. By 1840, the horse boats couldn’t keep up with demand and they were replaced with steamboats. Philo began service to 86th Street in Manhattan while Statesman took passengers to 23rd Street. Washington Irving, a steamboat ferry between Flushing and Manhattan, added a stop at Astoria. The Astoria began service in 1850 from Ravenswood landing (around 37th Avenue) as well. Interestingly, the Astoria was later sold to owners who used her as a gunship during the Civil War. It’s been a long time since ferries travelled between Manhattan and Astoria. 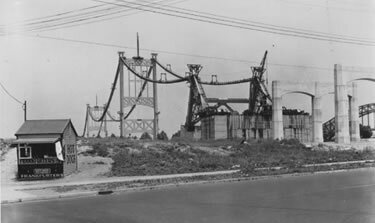 The services set up by Fitzsimmons and improved by Halsey were ended in 1936 with the opening of the Triborough Bridge. But now, 80 years after the docks of Astoria were abandoned, ferry service is set to return in 2017. Astoria’s iconic Hell Gate Bridge, officially called the New York Connecting Railroad Bridge, was completed in 1917 and later served as the model for Australia’s Sydney Harbor Bridge. It was built to connect New York’s Pennsylvania Railroad with train lines in New England and is used by Amtrak today. At the time, it was the longest steel arch bridge in the world. It is still one of the strongest and widely considered one of the most beautiful. 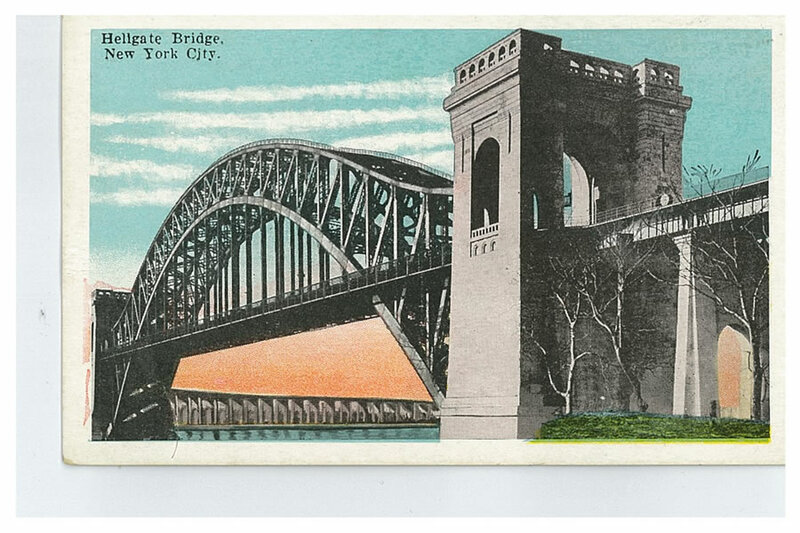 Visible from many points in the City, the Hell Gate Bridge was designed to be aesthetically important. Original plans called for steel girders on the viaduct piers to match the bridge’s famous steel arch. But fears that patients from Ward’s Island’s Psychiatric Hospital and inmates from Randall’s Island would climb up and escape forced a change to concrete towers. During World War II, the Hell Gate Bridge was one of many American structures targeted by the Nazis in Operation Pastorius. Due to the bridge’s significant economic value, Germany aimed to destroy it with a covert mission. However, shortly after arriving on Long Island via u-boat, the German spies were discovered by the Coast Guard. They escaped, but days later two of the men turned themselves in to the FBI, putting an abrupt end to Operation Pastorius. The Triborough Bridge (now the Robert F. Kennedy Bridge) opened in 1936. Despite a sweltering summer heatwave, 15,000 people gathered for opening festivities and another 20,000 crossed the bridge during its first twenty-four hours of operation. 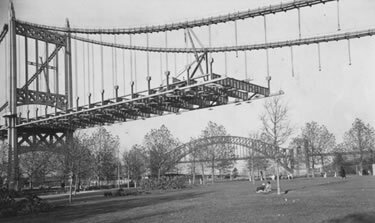 The Triborough Bridge ushered Astoria into the automobile age. One major consequence was the end of ferry service. Robert Moses had the docks demolished, and within a decade or so, the Astoria Hotel and many of the old mansions had been razed to make way for NYCHA’s Astoria Houses complex and more industrial sites. The Roosevelt Island Bridge was built over the course of three years for $6.5 million and opened in 1955. Originally the bridge was called the Welfare Island Bridge, as that was the name of the island until President Franklin Roosevelt changed it to Roosevelt Island in 1971. 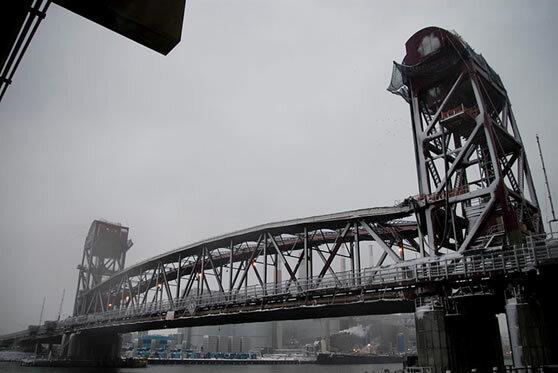 Before the bridge was built, the only way for vehicles to access the island was to use an elevator located on the Queensboro Bridge. The elevator opened in 1930 and closed after the opening of the Welfare Island Bridge in 1955. However, it was not demolished until 1970. The Roosevelt Island Bridge is a vertical lift bridge, meaning the section between the two towers is lifted upward rather than breaking in the middle like a drawbridge. At its peak, the bridge allows for 100 feet of clearance for ships passing underneath. However, the bridge is seldom lifted due to large ships utilizing the opposite side of the island when traveling the East River. 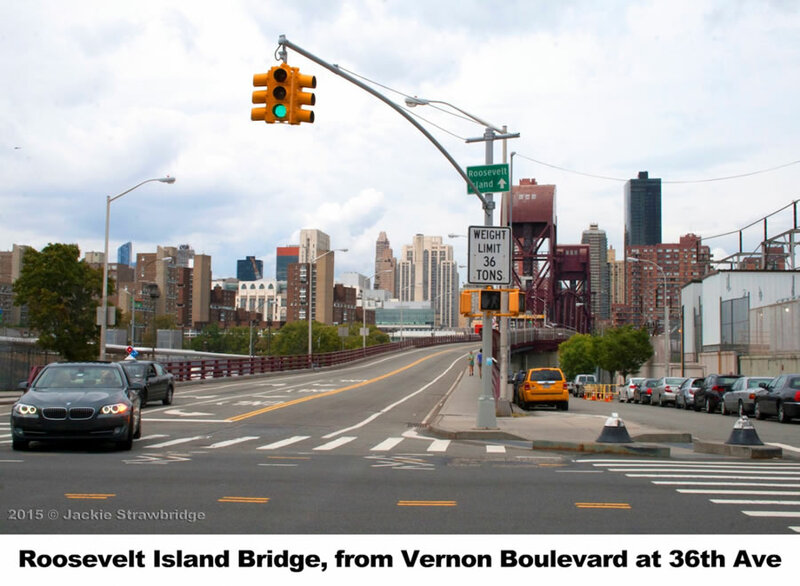 There is renewed interest in the blocks near the Queens side of the Roosevelt Island Bridge. Cornell Tech, a technology-focused campus of Cornell University, is scheduled to move to Roosevelt Island in 2017. Since the bridge provides the only vehicular access onto the island, many believe that the Ravenswood waterfront is poised for a renaissance since its location makes it ideal for businesses and residents who want to be close to Cornell Tech.